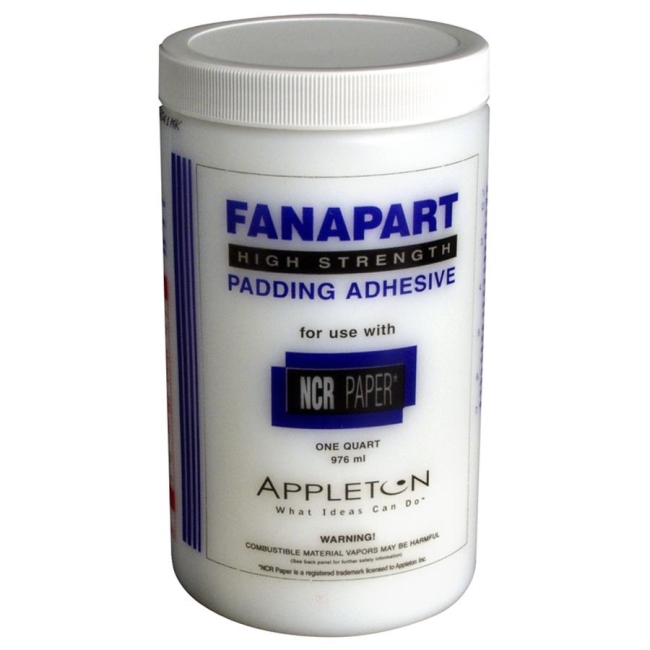 Fanapart edge padding adhesive allows Appleton carbonless sheets, in the proper sequence, to be automatically fastened together into form sets. Noncoated surfaces of the CB and CF plies are carefully manufactured to precise standards so carbonless sheets will automatically separate into form sets. Designed to allow you to use the form sets approximately 20 minutes after the High Strength Fanapart Adhesive has been applied. Each bottle contains 1 quart.